Each kit contains: Framed polystyrene base, coloured sequins, pins and instructions. Suitable for children of 8 years and over. Adult supervision recommended. Not as happy with this product as I have been with other Sequin Art kits I have bought. A lot of the sequins were misshaped and I had to throw them out. A lot of the pins were also misshaped. The template paper was of poor quality and the colour looked faded. 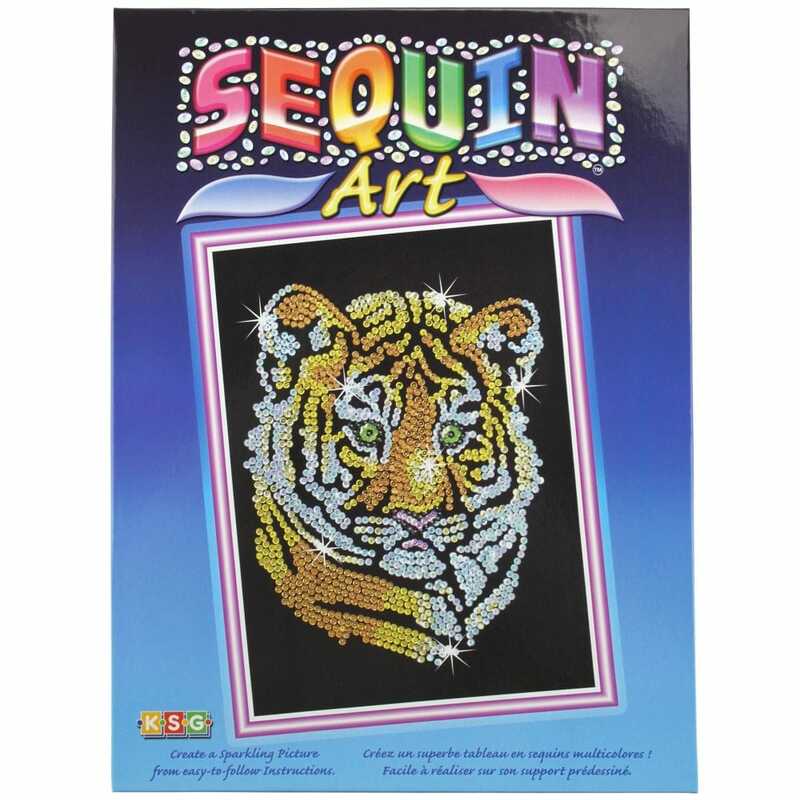 Other sequin art kits had black velvet templates or thick black plastic ones. This paper was flimsy and did not look as smart. I have almost completed it and it does look lovely when finished, but still disappointed with the background paper, does not set the tiger cub off as much as black velvet. I do hope that the manufacturers of these kits are continually quality checking the items because I have never had so many sequins and pins that I have had to throw away.